Journalists are not what they used to be. The profession and the news industry have changed dramatically over the past few decades, reshaped by information technology and new media innovation that googles the mind, literally. It remains to be seen if the public is benefiting from this evolution, even as its buying habits help to shape it. No, I’m not mourning the loss of the “ink-stained wretch” of yesteryear’s newsroom or the film editor in the broadcast booth. Journalists generally have adapted just fine, learning to love multiple platforms for story telling, or they move into another field. 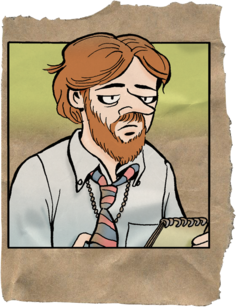 Some may feel like Rick Redfern of Doonesbury fame, the former Washington Post correspondent pushed onto a blogging platform … or is it a plank? Many blogs reward contributors with celebrity rather than hard cash, as Redfern discovers when word surfaces he’s out of print. As the industry shakes out, working journalists shake with it, incurring some bumps and bruises along the way. My friend Roger was in his mid-50s when he was mustered out of a newspaper job in North Carolina. He languished for more than a year before accepting a one-year assignment teaching English in rural China. For his perseverance, Roger got a tryout and regular copy-editing gig at The New York Times. May we live in interesting times. These changes not only dramatically affect the lives of working journalists, but also those preparing for careers as journalists – or new graduates who are searching for work in the industry. How do you prepare young journalists for a field in flux, when the job market is moving farther away from the traditional news-gathering and reporting exercises? And how do you retain the integrity of a profession founded on the public trust to inform and educate in a Wiki world? These are questions being raised today in many Journalism schools across the nation, including my alma mater, Indiana University. To stay current, IU is creating a new Media School, combining Journalism and Broadcast with Communication and Culture (Film, TV and Digital Media), and affiliated with Computer Science/Informatics and other departments through the College of Arts and Sciences. The reorganization is not without critics and skeptics among IU Journalism alumni, a long and distinguished list of working and retired journalists. IU-trained journalists want to know what happens to the legacy of Ernie Pyle, the legendary Hoosier war correspondent whose name graces the longtime Journalism building – and what happens with that building, long in disrepair? How will IU attract top-notch J-school faculty and scholars if it is diluted with nonprofessional communications studies, and administered through the huge liberal arts school? These were some of the questions that the IU Media School’s Associate Dean Lesa Hatley Major and Arts and Sciences Executive Dean Larry Singell sought to answer during a “Media Roundtable” held recently at the National Press Club. I joined about 50 alumni during the informal briefing, which featured finger food and a full bar. Everyone wanted to know if IU would be able to provide the same sort of quality education that journalists across the country have come to expect. I am going to trust these administrators with their words, and the promise of this new Media School. I’ve read the proposal and the step-by-step plan to create the J School of tomorrow, Media writ large. It makes good sense. Change is inevitable, so let’s get out ahead of it, anticipate as best we can. But Indiana University must build on the tradition that makes the program great – including the daily news coverage through the Indiana Daily Student and other campus and community outlets. New media platforms can enhance the IDS and other fine media already serving the IU community. Vonnegut grew up in Indianapolis and studied journalism for two years at Cornell before shipping out to World War II, the life event that haunts his fiction. Although he worked as a Chicago police reporter after returning from the war, and his journalism training is evident in his spare declarative writing, he grew to dislike how the profession was evolving – particularly in its pursuit of celebrity. Certainly this propensity for celebrity and spectacle has moved onto the Internet, alongside more sober sources of news and information. But like it or not, our media will be driven largely by consumer demand – even if big-money advertisers wield the biggest influence. We can console ourselves that at least we’re getting thousands of channels of information, however cluttered by noisemakers. Meanwhile, I’m sure that Indiana University will continue to turn out first-class journalists and communicators – such as Suzanne Collins, who in 1985 graduated from IU with a double major in theater and telecommunications, then went on to write The Hunger Games trilogy. There is more to world-class communications than a journalism degree, as this list of IU’s distinguished graduates of arts and humanities reveals. Journalists, authors, playwrights, lyricists, sportscasters, actors, poets, folklorists and assorted other storytellers enhance us all with their gifts, and we can thank the university that stoked their imaginations and refined their talents. This entry was posted in Uncategorized and tagged Blogging, College of Arts & Sciences, Communications, Digital Media, Ernie Pyle, Film, Indiana University, Internet, Journalism, Kurt Vonnegut Jr., Larry Singell, Lesa Hatley Major, National Press Club, Suzanne Collins, The Hunger Games, The Media School by bymichael2012. Bookmark the permalink.